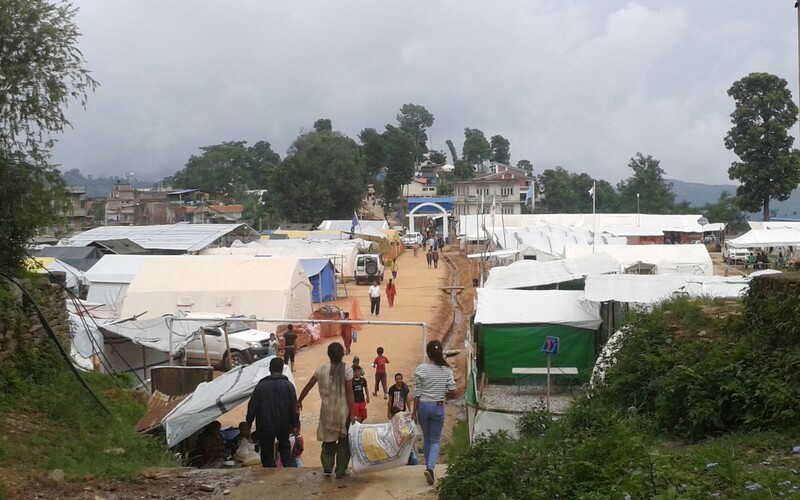 In April and May 2015, two devastating earthquakes hit Nepal, claiming the lives of more than 9,000 people and leaving more than 21,000 people injured. Fourteen districts were severely affected, covering a population of more than 5.6m. Over 900 health facilities were damaged or destroyed, with the majority in the 14 most affected districts. As a result, health facilities have been unable to respond effectively to healthcare needs, and vulnerable populations, including disaster victims, had limited access to health services in remote areas. Options has supported the health sector in Nepal for nearly 20 years. Our team, located within the Ministry of Health (MoH), responded rapidly to the tragedy, providing support to the government in assessing immediate damage to the health sector, coordinating foreign medical teams and planning the response. Following on from the immediate humanitarian response, international donors pledged $4.4bn to the “Earthquake Reconstruction Authority” responsible for coordinating recovery and transition to restore, or even improve, systems and services across essential areas including infrastructure, health and education. Under the umbrella of the Nepal Health Sector Support Programme, Options provided a 12-month programme of support for recovery and transition for the health sector. We focused on recovery of essential health care services, including obstetric care and family planning, and provided specific earthquake-related services including rehabilitation and psychosocial support across the 14 most affected districts. Rolled out improved designs for health facility infrastructure. Improved preparedness for future earthquakes/disasters. Strengthened local planning and coordination, monitored systems, financial management and access to maternity services through financial support of the Aama programme. Undertook equity monitoring of health services in partnership with district and national authorities and local civil society organisations. At the heart of our approach was strong communication and planning to ensure that all the components of rebuilding the health system were delivered in a coordinated way. The programme supported transition from recovery to longer-term health systems development.